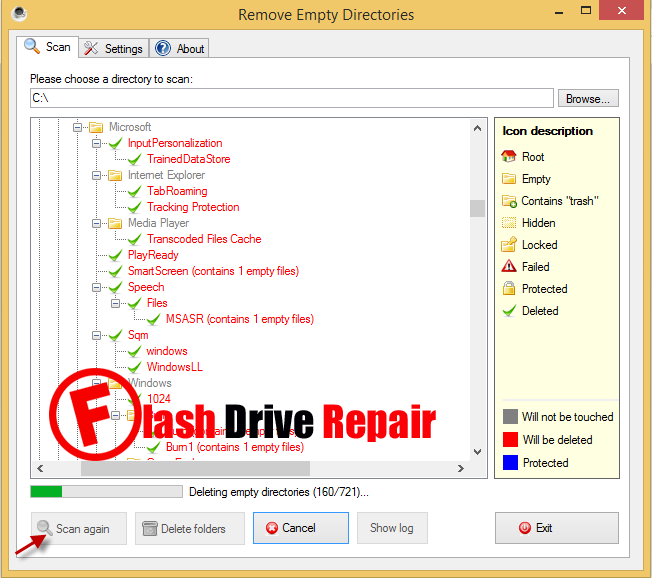 Remove Empty Directories sweeps the trash out of your Windows OS .Download Remove empty directories software and clean your computer Hard Disk now . 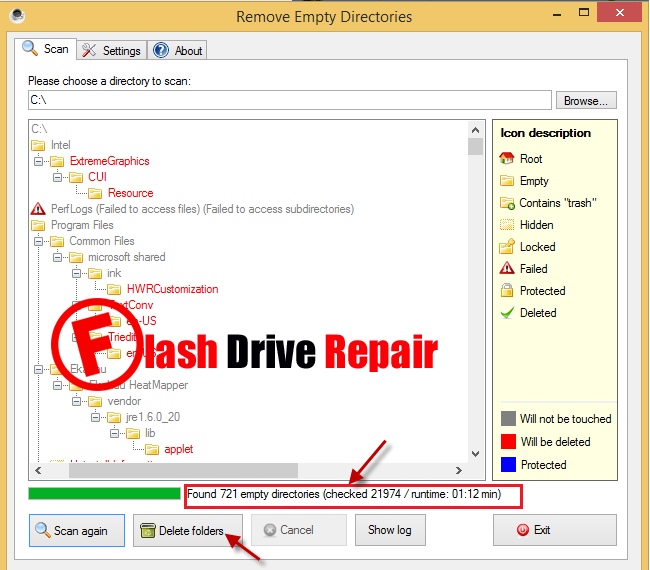 How to remove Empty Directories from HDD ? When a hard drive is full of unnecessary or empty folders, it makes the hard drive takes extra seconds to show all files every time you browse the hard drive , and perhaps the most important files that fill the hard drive are those empty files. Remove Empty Directories is a great freeware software that help you to deletes empty folders and directories to clean and speed your system up. Empty directory folders are annoying.For example of the empty folders that left behind by things such as uninstalled software and temporary files.Remove Empty Directories exists to make your PC experience that little bit easier. To start scanning of empty folders in your hard disk click on Scan then wait until finish searching about empty folders and directories in your PC . 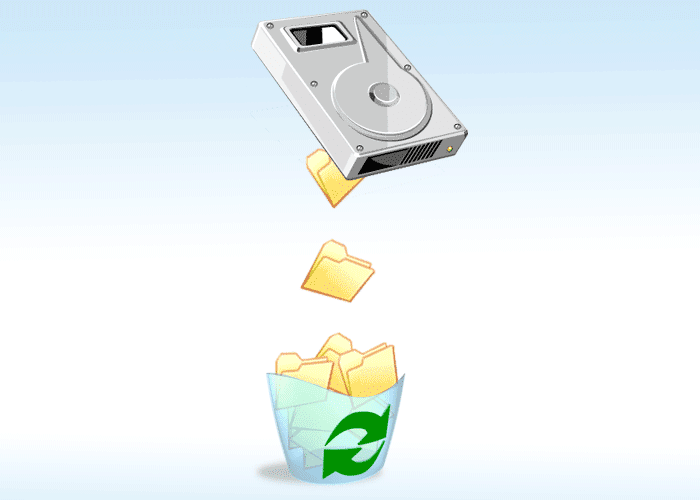 Click Delete Folders to start removing Empty Folders in your hard disk .It will take 3 minutes at least to delete all empty folders and directories in your laptop or computer .